2006 2nd Angler of the Year Tiger Division. 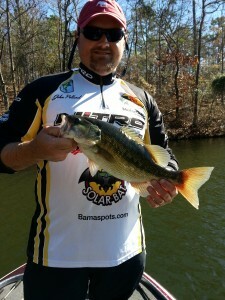 John has been fishing Lake Martin, Lake Jordan, and the Alabama River since he was a child. He has had tournament success on both lakes and can teach you proven tactics to catch fish for fun or an upcoming tournament. John is a member of the Bass Pro Shops/Nitro/Mercury fishing team.